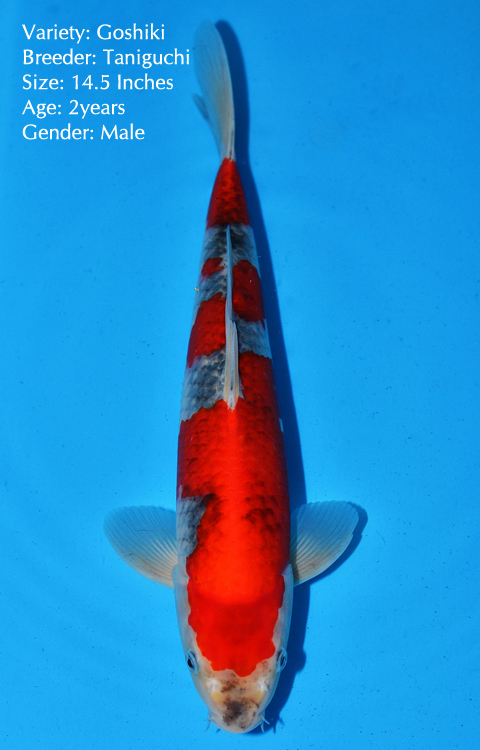 Over the next few days, we will be posting pictures of some koi that will be available at our auction this Saturday. Proxy bidding will be available on these select fish, so don’t hesitate to contact us. First up, a beautifully patterned Goshiki.